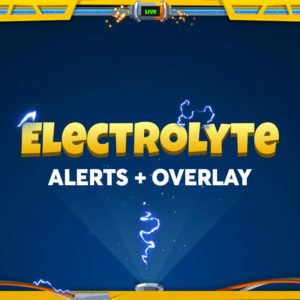 Our new slot machine twitch alert has just hit the store, and I wanted to take a bit of time and explain how it was made and how to use it for your stream. This alert is only for Muxy, OBS Studio, and XSplit Broadcaster at the moment, but it we are planning to make versions for other software and services if we can. This post is aimed at helping those that are interested in learning about how we create products for the shop. If you’d like to learn about setting this product up, you can watch the full video walk through below. Myself and Tehkhop poured a lot of time into both the design and the programming of this alert. It’s definitely our biggest single project yet for Nerd or Die. Another member of the Nerd or Die team came up with the core idea, so thanks to Lleuca for the inspiration. I recently found a style of alert (see our new Fireworks product) that I felt had a nice balance to it. I wanted the information of the alert (username, type of action, user message) to be noticeable, but not “boxed in”. As for the slot machine, I actually went through quite a few revisions. I started with a Photoshop mockup. Here, I was mainly looking for a way to make this alert interesting, but not be completely overbearing. Originally the slot machine had a background, and I even considered flashing lights, but in the end I found both of those options simply too much – and unnecessary. Sometimes when I’m indecisive about if I want to add, remove, or change a feature I try to ask myself one question… What value does this add? While I think over the top elements of alerts can have value, I didn’t feel a background added any in this case. I was still up in arms about the lights or motion, but in the end I felt the icons were the main draw of attention. Once I was happy with the Photoshop mockup, I then began coding the HTML. This process wasn’t too complicated. The most difficult part was figuring out how to cast shadows properly onto the reels. I handled this by having three divs, that served as layers. One for the background, one for the game (icons spinning), and then one for the shadows and overlay. From here, the last step was connecting everything to the programming side. I’ll get more into detail on the programming side in an update to this post tomorrow. D20 overlay alert! That would be awesome! This is such a good idea… might actually be able to make that happen. I love you your work thx! I have a question. I can’t put the volume down ik I set the volume lower in Muxy it doesnt effect it when the allerts triggers in OBS. Its so loouuudd xD. I found one more bug it doesn’t work with all the cheering icons right now it only works with Cheer, Kappa, Kreygasm and SwiftRage. Could this be fixed? The volume issue has since been updated – you’ll find an “audioVolume” setting in the code that you can update from 0 to 100. You’ll need to use the link included with the package to re-import the alerts, and re-setup everything. The other issue was probably on Muxy’s side, but I believe was corrected. I can´t put it in OBS or trigger it with Ankgbot… I did everything as it said in the read me and it still not work. Thanks! Those additions are things we added on, that we didn’t plan to implement at all. As they’re not included in the video etc. we’re not able to guarantee them to work for everyone. The standalone should work just fine, though. We are, however, looking to patch the Ankhbot version shortly. I have since removed it. wow thank you really much for the fast answer also if you gonna update the package are we gonna get the newes version of it or do we have to buy it again?? It’s been pretty awesome. Too much to handle for Xsplit and makes it crash. I’m switching back to OBS, anyways, though, and am at a loss as how to turn it down??? I’ve gone through each individual alert on muxy and it’s not changing anything. I could just turn down the alert widget itself in Xsplit, but that’s not the case in OBS. Any suggestions?! Hi there, I just bought the alerts yesturday. I use Mixer and not Twitch. Is there anyway to get static gif images of the alerts with rainbow effects? 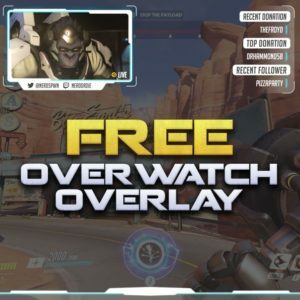 Muxy has yet to add support for Mixer, Even though Streamlabs has added support.